Hiring a premium music act for your event can make the difference between a great event and an outstanding one. We work with several London acts and some are very much classy options for background music. But a few have put together something that is more like a luxury product than an everyday one. A great example is our Visual DJ. 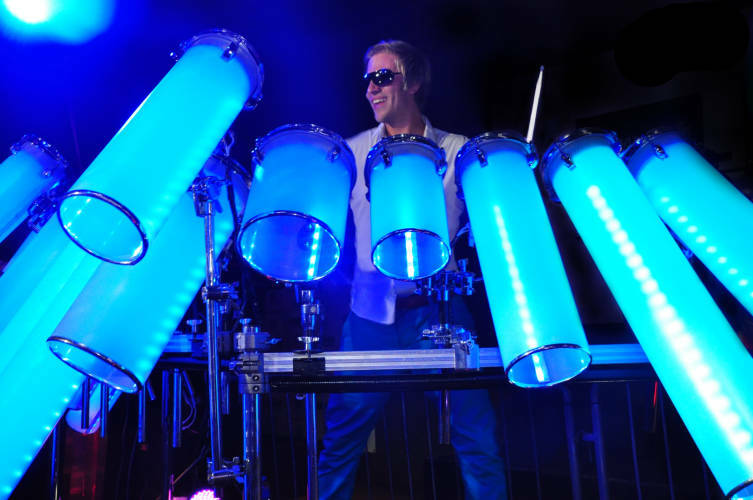 He has drums that light up and trigger samples from tracks when he plays them. They can also trigger big screen images. Absolutely ideal if you’re launching a great new product. Or just impressing your clients with your brand at a corporate event. Or want to make a big personal statement for your own party! High end acts like this come at a premium cost, so are not for all events. But for those with larger budgets, these kind of music acts will impress your guests and enhance the occasion in a unique way. Personally, we think that this is priceless. They don’t need to perform all day or all evening either. A short sharp burst of something amazing is often more effective when it comes to entertainment. Then everyone will be more blown away by it, like a firework display that leaves you wanting more. And later, they’ll remember the big impact and excitement of the upscale act. Sometimes you really do need all the bells and whistles and by hiring a premium music act, you’ll get them. Another good tip is to have light background music initially and then the high impact act later. If that’s one and the same act, this can also be really classy. So as another example, you may have a string quartet that plays elegant background music to start. 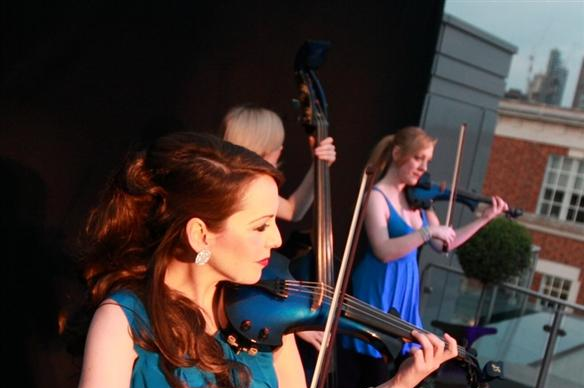 Then later in the evening, when no one is really expecting, the same group perform with electric violins as a high end electric string quartet. They’ll have changed outfit and do a stunning choreographed show. From the delicate music earlier on, you’ll have a dynamic classical crossover show with backing tracks and high energy which will fully entertain the attendees. If you’re having an event where you’d like to incorporate an amazing premium music act, contact us here at LS – we’d be delighted to help!